Cailhier, Diane. "Alain Chartrand". The Canadian Encyclopedia, 29 June 2016, Historica Canada. https://www.thecanadianencyclopedia.ca/en/article/alain-chartrand. Accessed 18 April 2019. Alain Chartrand, director, author (b at Longueuil, Qué 2 Feb 1946). Alain Chartrand did his secondary studies at Collège Marie-Victorin and then enrolled in the Conservatoire de musique du Québec in Montréal, playing trumpet and double bass. He also practised the professions of press operator and photoengraver at Les Presses Sociales, a printing firm that belonged to his father Michel Chartrand, and began to shoot films in 8 mm format. One of these, Histoire 1900, won an award in the broadcast television competition Images en tête, devoted to amateur cinema. Using a borrowed 16 mm camera, Chartrand then filmed Ataboy, a short that would be screened all summer at the Youth Pavilion of the 1967 World's Fair (Expo '67) in Montréal and at the Toronto Festival. 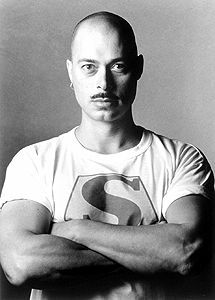 In 1971, he toured throughout Québec with Isis au 8, a full-length docufiction that explored the return-to-the-earth trend popular with young people. 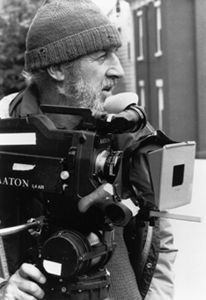 After a stint as assistant cameraman on the historical television series La feuille d'érable (1970) and on Jean-Claude Labrecque's film Les Smattes (1972), Alain Chartrand became first assistant to the director. He rubbed shoulders with such experienced film directors as Michel Brault (Les Ordres, 1973); Jean-Claude Lord (Parlez-nous d'amour, 1976; Panique, 1977; and Éclair au chocolat, 1978); Jean-Pierre Lefebvre (Avoir seize ans, 1977); Francis Mankiewicz (Les bons débarras, 1978); Gilles Carle (Fantastica, 1980); André Mélançon (La guerre des tuques, 1984); Yves Simoneau (Pouvoir intime, 1985); Arthur Lamothe (Équinoxe, 1985) and Jean-Claude Lauzon (Un Zoo, la nuit, 1986). 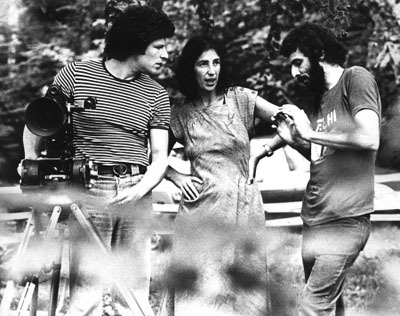 Still an assistant director from 1971 to 1986, Alain Chartrand also pursued his career as a director. In 1974, he made La Piastre, his first full-length feature film with professional actors. He then took part in Jean-Claude Labrecque's Jeux de la XXIe Olympiade (1976) as associate director, and made three documentaries: Images de l'Estrie and Les Douces (1980), followed by l'Estrie en musique (1981). Returning to fiction, he directed the shorts On est pas sorti du bois (1982) and L'Étau-Bus (1983) which won audience prizes at the Clermont-Ferrand and Belfort festivals in France, and the Prix Annik for best TV drama from Radio-Canada. In 1988, Chartrand's full-length feature Des amis pour la vie was selected for numerous festivals in Canada, France, and the US. Following successful reviews of this television film, which was broadcast internationally, he was entrusted with directing Ding et Dong, le film (1990), a blockbuster comedy with Claude Meunier and Serge Thériault that won the 1991 Golden Reel Award for highest box-office gross in Canada. Son of the well-known trade union official Michel Chartrand and noted feminist, moderator, speaker and writer Simonne Monet-Chartrand, Alain Chartrand made a documentary about each of them. The National Film Board produced Un homme de parole (1991) and Une vie comme rivière (1996, co-produced with Diane Cailhier), a Genie Award finalist for best documentary and selected as one of the NFB's ten best films. Alain Chartrand himself was involved in demanding better working conditions for technicians, and took part in founding the Syndicat national du cinéma (SNC). In 1973, he also contributed to founding l'Association des réalisateurs de films du Québec (ARFQ, later l'ARRFQ), serving as its president from 1988 to 1990. During his mandate, he signed the first collective agreement for film producers with the Association des producteurs de films et de télévision du Québec (APFTQ). Further, he was a member of the Conseil national du cinéma et de la production télévisuelle at SODEC (a Québec government corporation that supports the production and distribution of Québec culture) beginning in 2001. Meanwhile, a new avenue opened up for him with the television series Montréal, ville ouverte (1991) written by Lise Payette. Then came six episodes for Scoop IV (1995, Prix Gémeau for best drama); the miniseries Innocence (1996); four episodes of the series Urgence (1997); and ten hours of Paparazzi (1998), all written by the duo of Fabienne Larouche and Réjean Tremblay. At the same time, Chartrand continued his association with screenwriter Diane Cailhier, producing the medium-length feature Une nuit à l'école that received the Golden Monitor (jury grand prize at the Umbriafiction Festival, Italy), the Rocky Award (best youth film, Banff International Festival) and the Québec-Alberta prize (television innovation) in 1992. That same year, their full-length feature Le Jardin d'Anna won the Grand prix du public at the Festival du Cinéma international in Abitibi and had the largest audience for a film presented on Canadian television in 1993. Next, Alain Chartrand devoted a six-hour two-part fiction series to his parents' family and activist life. In 2000, Chartrand et Simonne won the Prix Gémeaux for best drama series, director, and leading man, as well as prizes in the categories of make-up, hairstyling and costumes. Luc Picard and Geneviève Rioux won for best leading roles in the series Simonne et Chartrand in 2004. An instructor of final-year students in fiction production at the Institut national de l'image et du son (Inis) in 2007, Chartrand was later in charge of the final studies film production workshop at UQAM's École des médias. He occasionally gave talks on social commitment at union organization conferences. Alain Chartrand wrote two books about his cinematographic experiences. Le métier d'assistant-réalisateur au cinéma (ed. Lidec, 1990) tells about his duties as first assistant director on 22 films including 16 full-length features. Chartrand, cinéaste (éd. Stanké, 2007) is an autobiography that traces the evolution of the audiovisual scene since 1971, his important filming memories, union struggles and professional relationships.